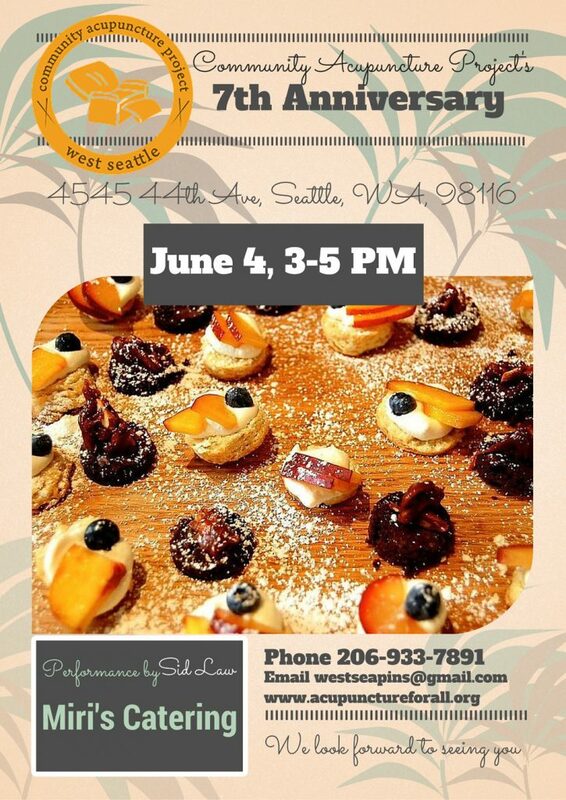 Please join Community Acupuncture Project of West Seattle for delicious food and great music as they celebrate their 7th Anniversary! Where: 4545 44th Ave SW at your clinic! They’ll be featuring food by Miri’s Catering and live music with Sid Law. They’ll also be unveiling their new magical unicorn anniversary t-shirts and tank tops! You can check out the details on Facebook here. Please stop by on Saturday the 4th! Bring friends and neighbors – all are welcome!